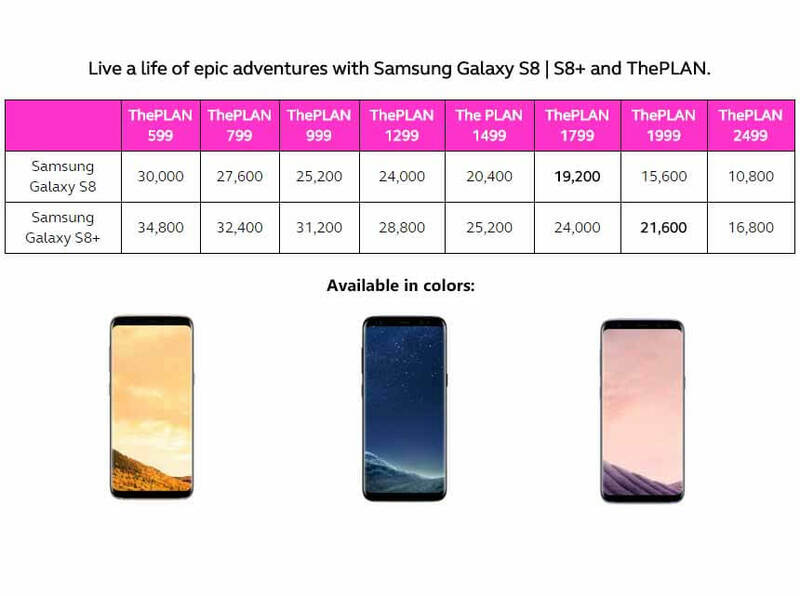 Globe already reveals their postpaid plan details for Samsung Galaxy S8 and S8 Plus, as they made the pre-order page available to new and existing subscribers. 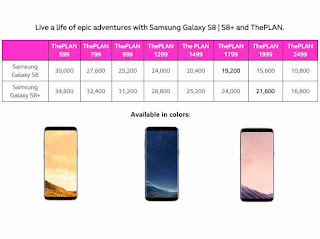 With their latest thePlan offers, you can get the device with their starting plan 599 plus the cash out and also available to plan 1799 with 19,200 pesos that can be paid monthly throughout the lock in period. The plan also features network services like data, call, text and entertainment content e.g. Spotify, HOOQ and Netflix access. 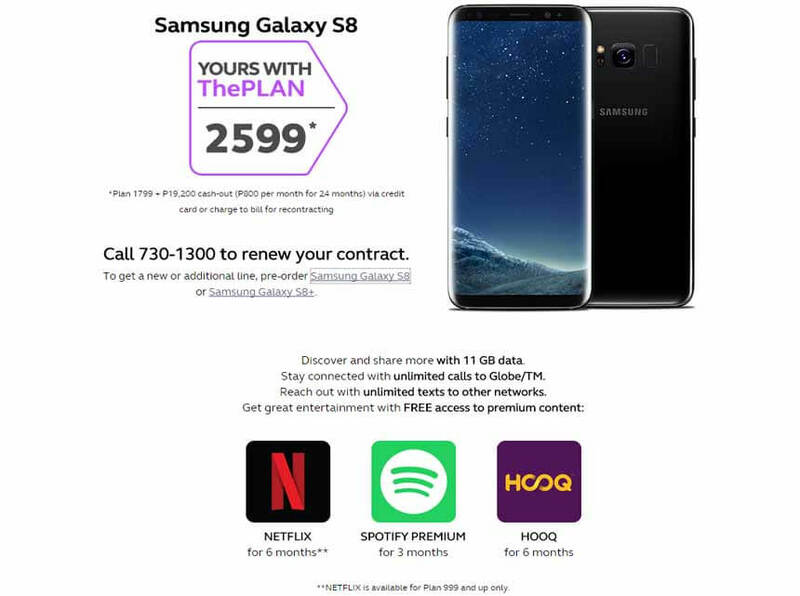 Be the first to get S8 and S8+ by calling the Globe hotline 730-1300 or filling out their pre-order page online. Reservation page is available to those who are interested for contract renewal and new line application. Check out the details below as your reference. To those who want to renew their postpaid plan, you’ll get a Samsung Wireless Bottle Speaker as a freebie. To know more about this offer from Globe, you can simply visit Globe Store nearest you.